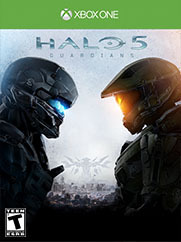 Game Description: A mysterious and unstoppable force threatens the galaxy, the Master Chief is missing and his loyalty questioned. Experience the most dramatic Halo story to date in a 4-player cooperative epic that spans three worlds. Challenge friends and rivals in new multiplayer modes: Warzone, massive 24-player battles, and Arena, pure 4-vs-4 competitive combat.